It’s my preference to eat produce out of my garden and from the farmer’s market when in season (other than fermented foods), so that means relying on lots of root veggies, in the winter. Although cooked kale and collard greens are perfect for a shot of greens in winter, early spring is time for foraging to gather healthy greens, which need nothing more than olive oil and vinegar to taste delicious and digest easily. The oil and vinegar break down/”cook” the greens for good digestion. 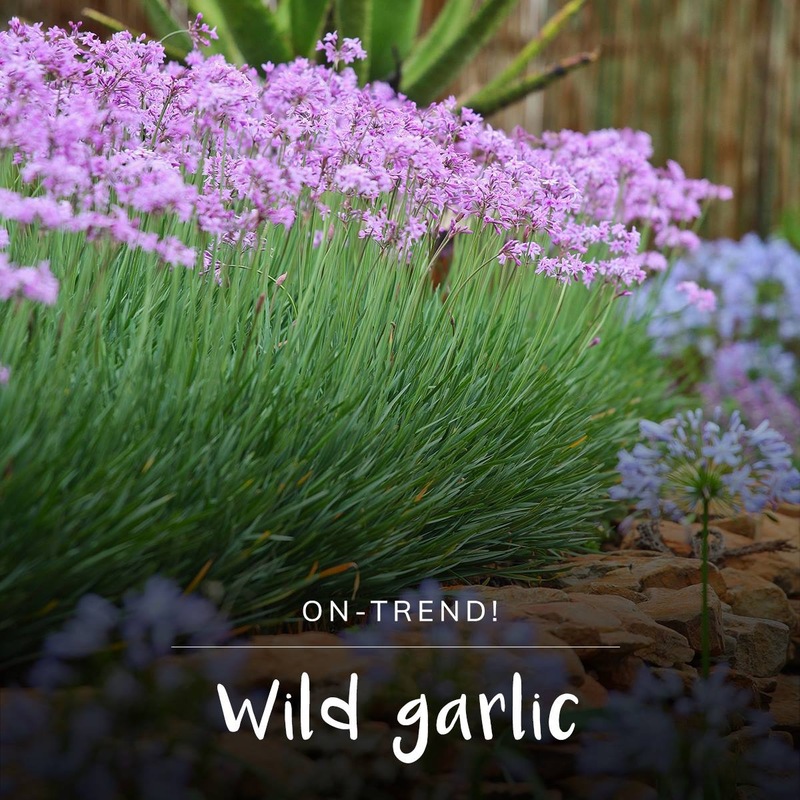 Explore new greens for your salad, including weeds from the wild, tasty spring flowers and shoots, medicinal plants, and a few edible mushrooms (with great care). Many of these are in your own backyard or between the cracks in your driveway. The short list of spring foraging ideas below can be expanded by chatting with your local master gardeners. 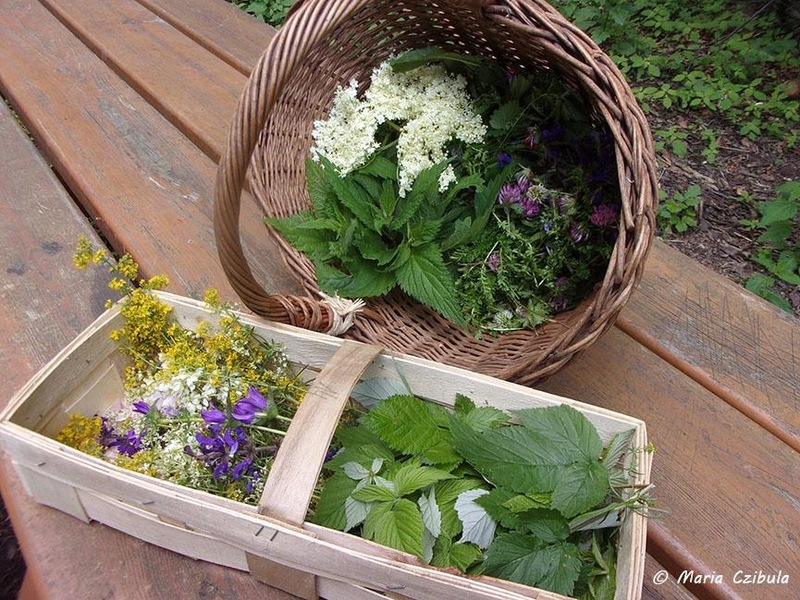 or herbalists But you don’t have to be an expert to safely start your spring foraging adventure. You do need to start with one rule of thumb: only eat what you can absolutely identify. 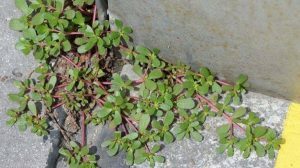 Local herb walks and those master gardeners will help fine-tune your identification. Many benefits offered by dandelion in tea, tincture and food forms. 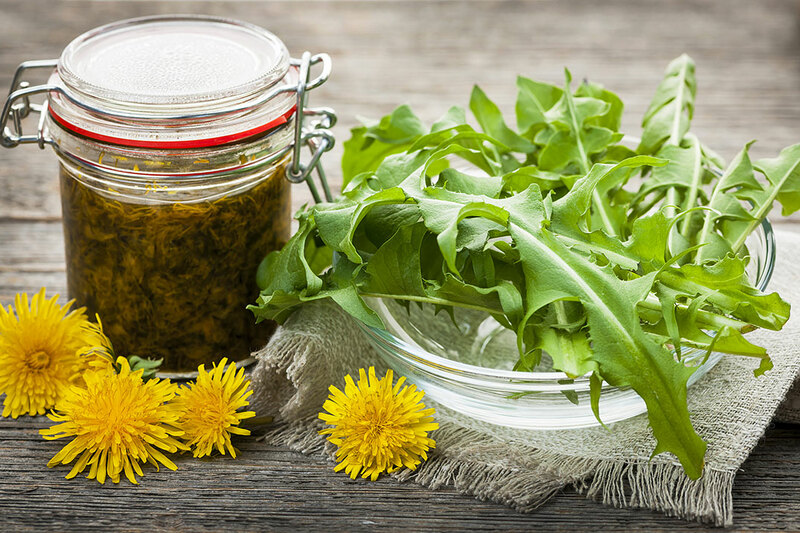 Dandelions are a great start for foraging since most of us can easily identify them. 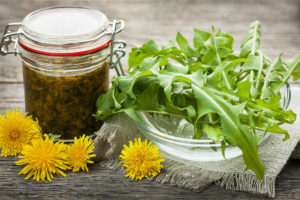 With edible and medicinal flowers, leaves, and roots, dandelions feature prominently in my apothecary as a favorite diuretic. And have you noticed…they are rather difficult to kill! They bring that same gentle detoxing to your body when you consume them. No fasting required. For more details on dandelion and other edible herbs, consider consulting my book, Take Back Your Body. 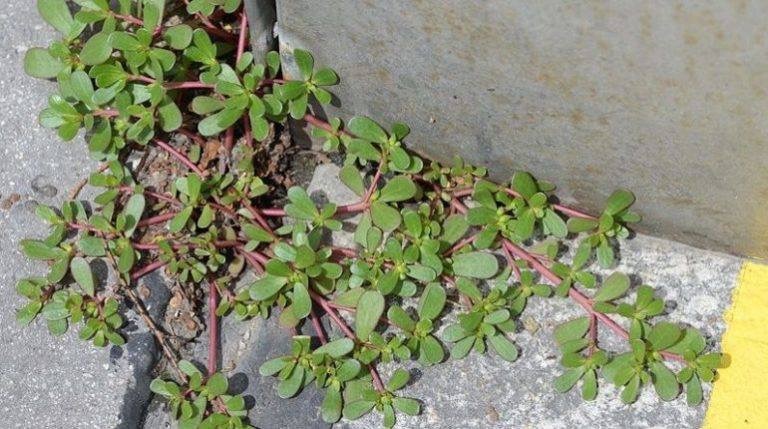 Purslane is a great example of a mineral-rich green growing through the cracks in your driveway. Susun Weed (a respected mentor of mine) shared that her students in Amsterdam f0und 17 examples of edible plants within a block of their workshop location. In January. Don’t let living in a city discourage you from foraging. Chickweed is a mild-flavored edible green with pretty white flowers. 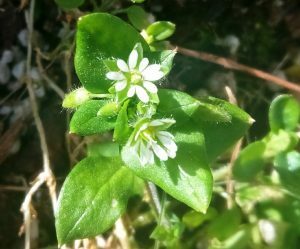 For those of us in the mountains, it is only available in early spring, so take full advantage, and add it to salads or make chickweed pesto. 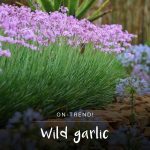 Garlic of any sort is probably my favorite medicinal herb–though I’m so glad I don’t have to choose just one. I use garlic daily, yet what a treat to harvest the first spring flowers from my garden as the perfect spring salad addition. The reason garlic is my favorite herb is due to all the medicinal uses, but it’s also the perfect start to many meals. Violets are one of the easiest things to grow–and cheerfully early in the spring. 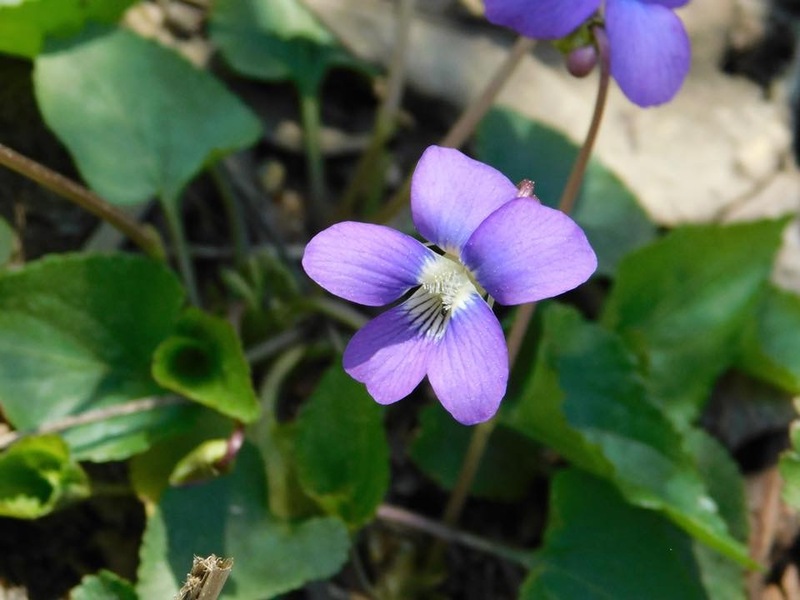 Wild Violet flowers and their leaves are both edible and medicinal. They come up in early spring and are often some of the first flowers of the season, just after pasque flowers, making them a beauty treat, as well. They love cooler temperatures and will grow in the winter in warmer locations. And they are a great sight through spring snow to remind you how quickly that will be gone. Red clover is beneficial to us in many ways. These blossoms are one of my four favorites for making a daily infusion filled with minerals, many of which you pay lots of money for in pill form. This infusion includes calcium, magnesium and 11 other minerals costs for 20 cents/day. Red clover blossoms are sweet and edible (I love to pop them in my mouth on the trail if I’m away from vehicles and dogs). These beautiful blossoms can also be added to another food as medicine: raw honey. 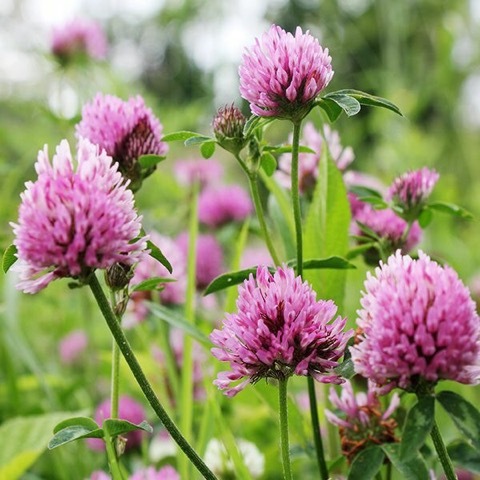 Big thanks to Colleen Codekas for the recipes in this blog post: red-clover-infused honey. She offers many resources at www.growforagecookferment.com. 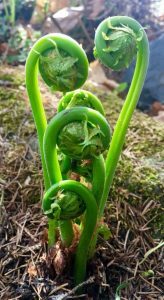 Fiddleheads are fern leaves before they’ve unraveled, and they are usually only available for a few weeks in the spring. The fiddleheads of the Ostrich fern are the most popular for foraging, and I have often seen people parked on the highway while they search in early spring.. 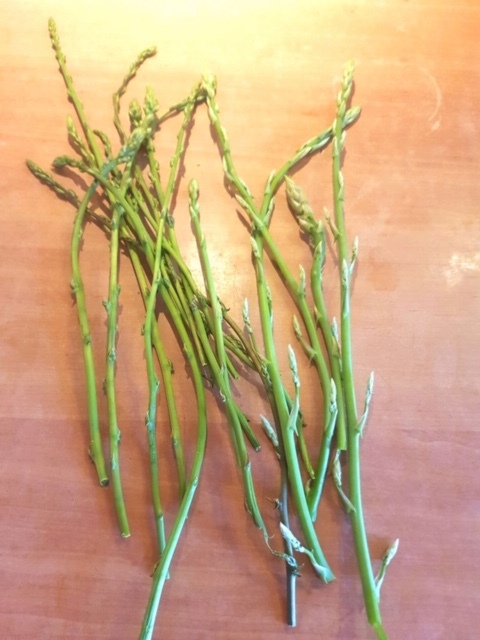 They taste a bit like asparagus and need to be cooked before consuming; yummy cooked in pastured butter and garlic. Some varieties of ferns are toxic, so as with all plants you’re unsure about, consult a master gardener and a good guidebook. Cattails are known as the ultimate survival plant, as every part of the plant can be used in some way. 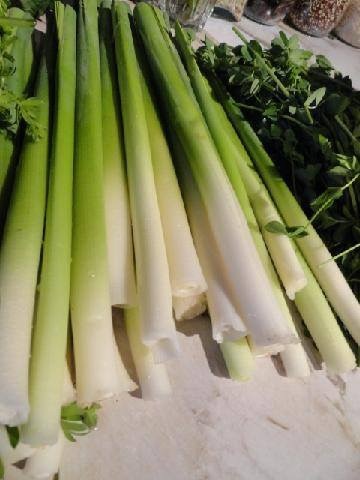 The young shoots that come up in the spring are the tastiest, and can be eaten raw. I hve a friend who used the fluff on cattails to stuff homemade diapers. Impressive. Wild asparagus is known for being difficult to spot and I have yet to find them in the wild myself, but would absolutely love to one day! They offer the same great detoxifying benefits as organic asparagus from your local farmers. I enjoy it sauteed in olilve oil with sea salt on top. Delicious! Stinging nettle is one of my favorite plants in any form, as a supporter of stressed-out adrenal glands, but fresh nettles in the spring are a special treat. Look around horse stables to find them since they love the minerals they find in manure. And remember your gardening gloves for harvesting. 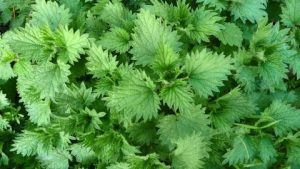 Cooking fresh nettles will remove the sting and dried this is yet another opportunity minerals from an herbal infusion. Make this stinging nettle-ade recipe or these nettle chips with your foraged nettles. Plantain is both edible and medicinal–a great companion on the hiking trail and often close to it since it prefers disturbed ground. There are two main varieties, broad or narrowleaf, with similar benefits. Chew up young leaves to make an instant poultice if you bruise yourself on the trail or get a bee sting. As with any of these edible greens, they are a great addition to any soups and stews. I hope this list has given you ideas for foraging this spring. Remember to wear your hat, but leave your sunglasses behind to absorb Vitamin D through your eyes. 🙂 Happy Spring!